 On The Real Film has produced music videos featuring artists in all genres from rock to rap. Each music video is a unique blend of direction and collaboration, with visuals to match each artist's music distinctly. On The Real Film provides all services from production to editing and final delivery of finished music videos or photos. On The Real Film collaborated with artist Via Rosa on this music video for her track Signs, featuring The Mind and Netherfriends. The video was featured as part of a visual/audio mixtape hosted by the 119 film and music collective. Getting Closer. From their 2017 album Wax Wings. Chicago band Leafbird gets wacky for their song True Lies, ​way back in 2012.
first mixtape, Freshheir, in April of 2015. From classic blues heritage comes the rock & roll of Jan King & Medicine Ball. Breaking Up highlights the band's 2013 album Hobo Crow with Tami Peden on drums, Keith Wakefield on bass, Thom Dierks on guitar, and Jan King on lead guitar and vocals. the official music video for their single Golden Chain.